Oops' they say love is blind and this absolutely explains it. I always did think it was crazy to tattoo peoples names or initials on one's skin just because you are in love with them, but this right here left me speechless. I really cannot explain how I feel, seeing this level of craziness. The photo of a young girl's unusual inking has gone viral. 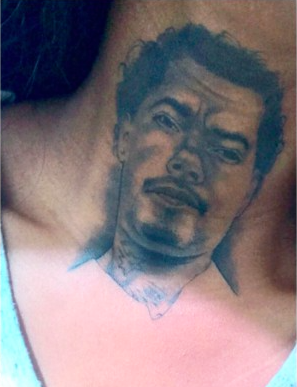 In the photo, the lover girl tattoos the image of her boyfriend on her throat. The tattoo is the first thing you see when you look at her. 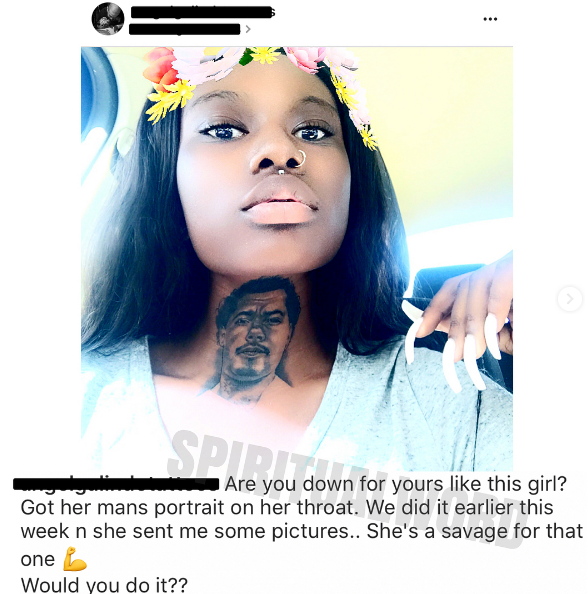 Interestingly, her boyfriend has a tattoo on his neck but it is not a photo of her. Really funny. This must be true love. I mean agape love!